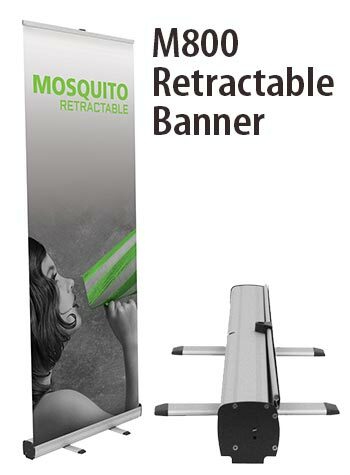 Get your message out there with affordable, eye-catching banner stands. 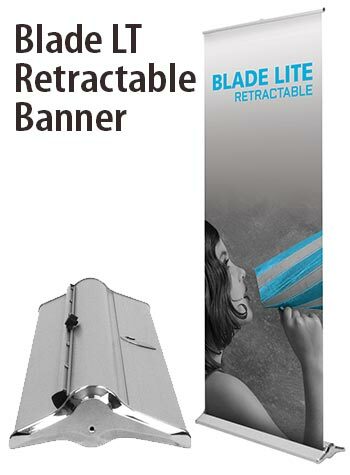 Whether for a critical trade show, a busy promotional event, or any other advertising venue, here's where you'll find the perfect banner stands that get your message seen... and remembered! No matter which style you choose, you'll set it up by yourself in mere moments. 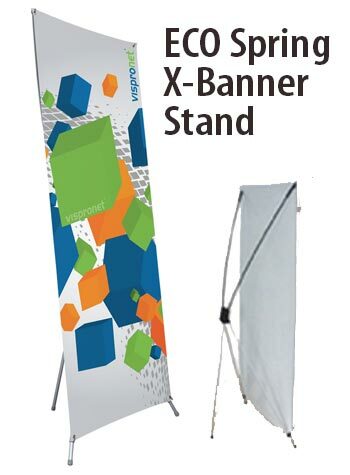 Start by choosing your banner stand below. 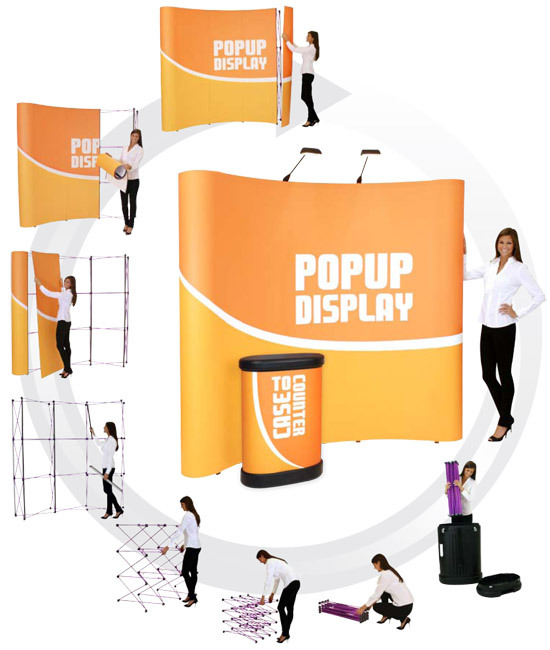 You need eye-catching trade show pop-up displays in your booth to receive optimal attention and attract prospective clients. There is so much hustle and bustle on the floor that it is easy to get lost among all the competition, but one effective way to stand out is to employ expertly printed pop-up trade show displays like those available at INKit. We offer high-quality pop-up displays in a wide range of designs and price points, helping you customize your presentation to meet your budget and brand aesthetic. 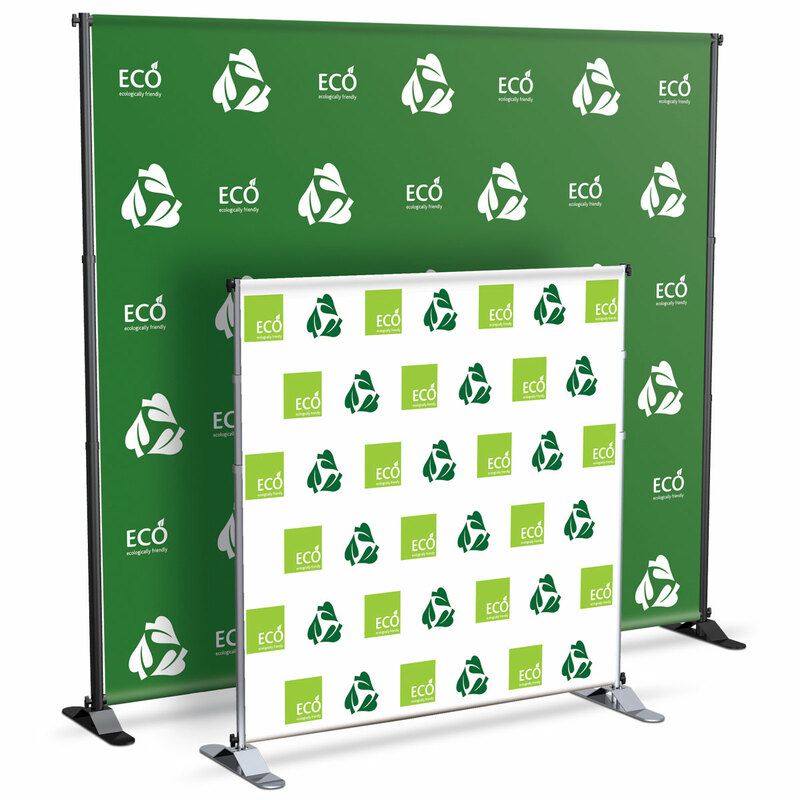 If you are looking for cost-effective simplicity in pop-up displays for trade shows, our Tabletop Graphic Package and Tabletop Fabric Package are good choices. If you want to make a big splash, you would do well to consider a Big Wave Gullwing, a Big Wave 20-Foot Serpentine display, or a Horseshoe Mural display. At INKit, we have years of experience in the trade show industry and are ready to put our expertise to work for you. Copyright ©2019 INKit Design N' Print All Rights Reserved.